The honor of carrying his group's clipboard was cause for Matt to celebrate. 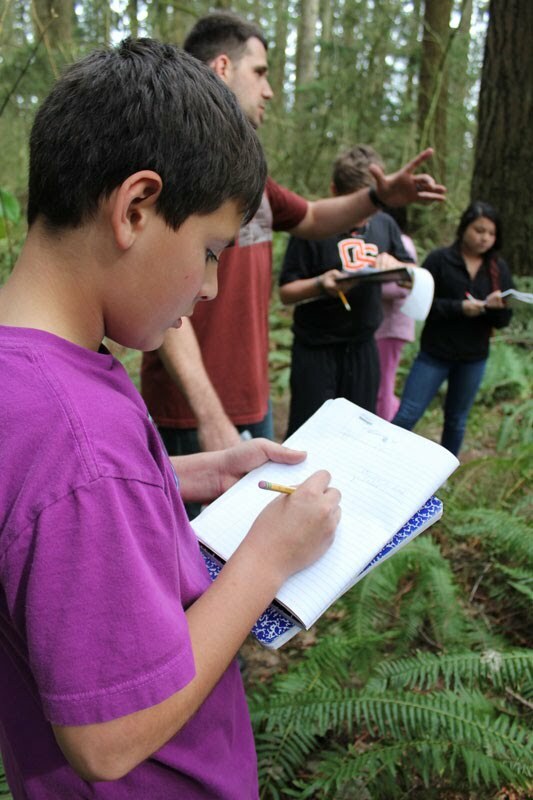 The Laurin Middle School sixth grader jumped out of his seat with a spirited "Yes," pumped his fist, and grabbed a clipboard with its attached plant identification guide and plot map. Sixth grade teacher Casey Rogalette smiled. To see so much enthusiasm in a student wasn't unusual, but this science lesson was. 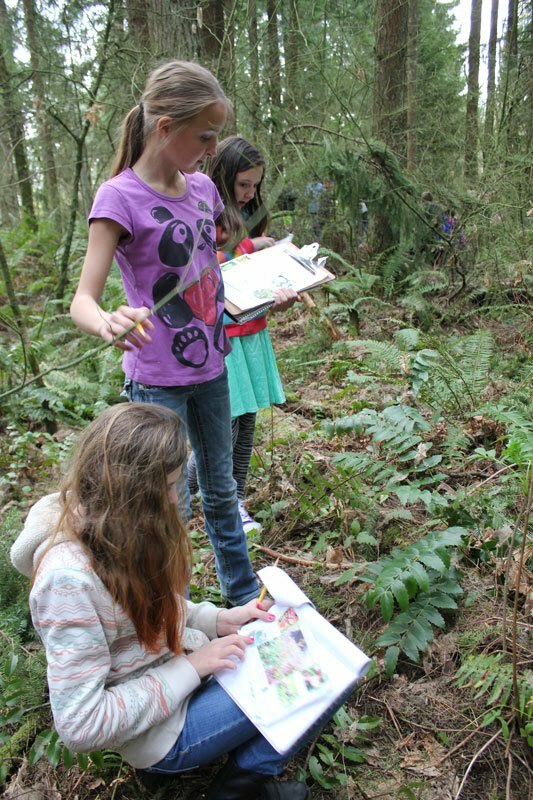 On this day, the students would spend time in the forested nature preserve next to their school, identifying and recording the species of plants and animals in each of four sections. Mark Watrin, a teacher on special assignment (TOSA) in Battle Ground Public Schools, explained the scientific goals and led the sixth graders outside. To the students, it was one step in the process of determining which section of the preserve supports a greater variety of life. 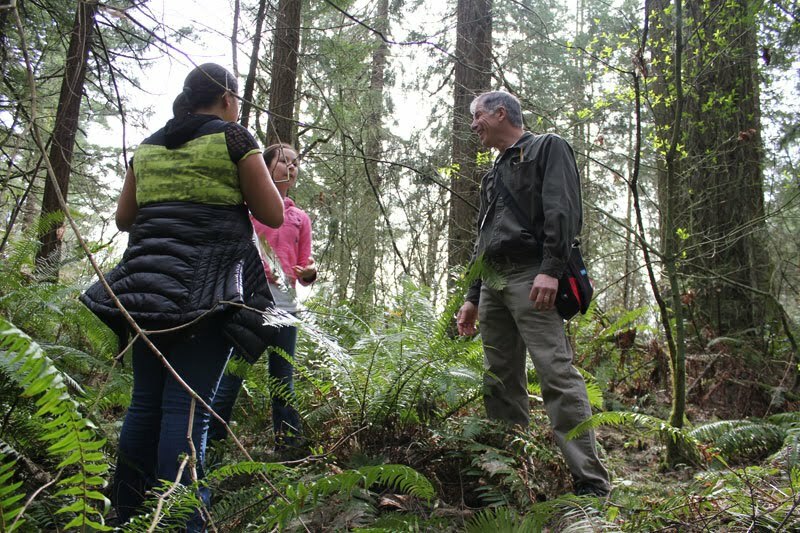 But according to the Washington State Learning Standards for science, the students got a hands-on lesson on MS-LS2-5: Evaluating competing design solutions for maintaining biodiversity and ecosystem services. Teacher Casey Rogalette got a lesson, too. Taking the lead, Mark Watrin demonstrated how to effectively teach students the state's new science standards. As the district's science TOSA, Watrin is modeling a new type of professional development, called embedded professional development, that provides primary and middle school teachers with one-on-one training on how to implement the new Washington State Learning Standards for science. The training technique is effective because teachers don't just hear about best practices, they see them in action in their own environments. With this type of training, student questions and reactions become teachable moments for teachers, too. Research has shown that a coaching model is more effective than one that gathers a cohort of teachers in a single room for a presentation-type training, said Paula Koehler-Martin, executive director of curriculum, instruction and professional development. "Research on adult learning and how teachers enhance their practices points to the fact that one-time professional development opportunities might spark interest," Koehler-Martin said, "but ongoing professional development, and especially in a classroom setting, is what makes the difference in teachers evolving their classroom practices and enhancing student learning." Battle Ground also has TOSAs who help implement the new Washington State Learning Standards in English language arts and math using a blended model of traditional group and some one-on-one training. But the coaching model of training lends itself to the subject of science. Washington is transitioning over the next 3 years to updated state learning standards for science in grades K-12. Called the Washington State 2013 Science Learning Standards, they provide consistent science education through all grades with an emphasis on engineering and technology. Developed by the National Science Teachers Association and other non-profit science organizations, the standards are part of a national effort called Next Generation Science that updates current standards based on how scientific work has changed. Washington has set a timeline that includes full implementation of the standards in the 2017-2018 school year. 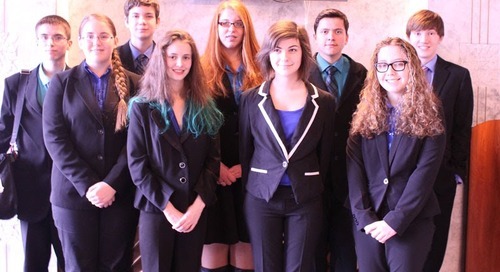 Along with full implementation comes a federal requirement to assess students on multiple science disciplines (including biology, physics, chemistry, geology, and astronomy) with a more comprehensive test than the current End of Course Biology exam that students take in high school. Watrin's work with science teachers will not only help better prepare students for a more complex assessment, but also will help students acquire the skills they need to study scientific disciplines in college and become chemists, ecologists, and aerospace engineers. Rather than focus on what science is, the new state science standards aim to teach students how to practice science by asking them to make scientific inquiries and develop theories and models. For example, instead of memorizing all the minerals, students might explore why minerals are useful. "Hands-on is important," Watrin said. "to adequately learn, the concepts need to be connected to a concrete experience. The brain learns better by doing than by just listening."